Excellent dynamic response, most suitable for industrial gas facilities. Most suitable for the areas that switch to holder pressure supply in the night. Despite single valve, adoption of balance diaphragm enables stable pressure regulation against input pressure variation. 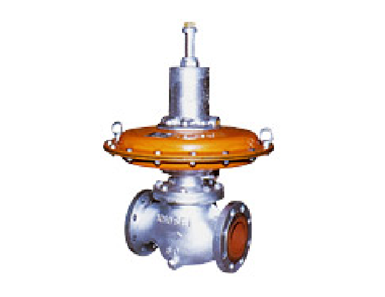 Easy maintenance without need for adjustment due to floating type single valve disc.